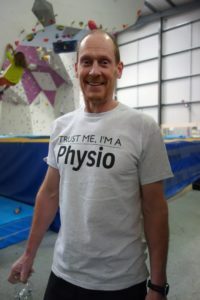 Nick qualified from Keele University in 2005 with a First Class Honours Degree in Physiotherapy. After qualification he worked at the Neuromuscular Centre in Winford treating people with genetically inherited diseases that affect muscles and nerves (neuromuscular disease). In 2009 he took on a new position at the Robert Jones & Agnes Hunt Orthopaedic Hospital working in 3 areas; paediatrics, Neuromuscular and gait assessment/rehabilitation. The paediatric role encompasses the rehabilitation of children and young adults post surgery, musculoskeletal injury, cerebral palsy, traumatic brain injury, DCD to name a few. The Neuromuscular role is the treatment of both adults and paediatrics. The gait (walking) aspect of his work is carried out in ORLAU, where he works as part of a team assessing the way people walk and providing splints (AFOs) to improve/normalise gait pattern. Nick continued his studies achieving a PostGradDip in physiotherapy. In addition he has attended a variety of courses; Halliwick hydrotherapy, acupuncture, Kinesio taping, Jo Gibson shoulder course, Know Pain, Lorimer Moseley Explain Pain/Graded Motor Imagery. Nick is passionate about ensuring a patient achieves their full potential with a carefully structured patient centred approach with agreed realistic goals. Nick is member of the HCPC, the CSP and AACP.